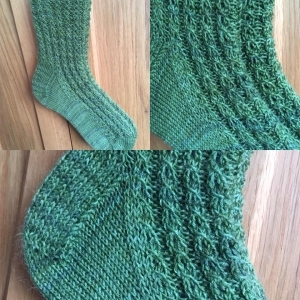 Patterns for top-down socks, adult male and adult female, plain and patterned. 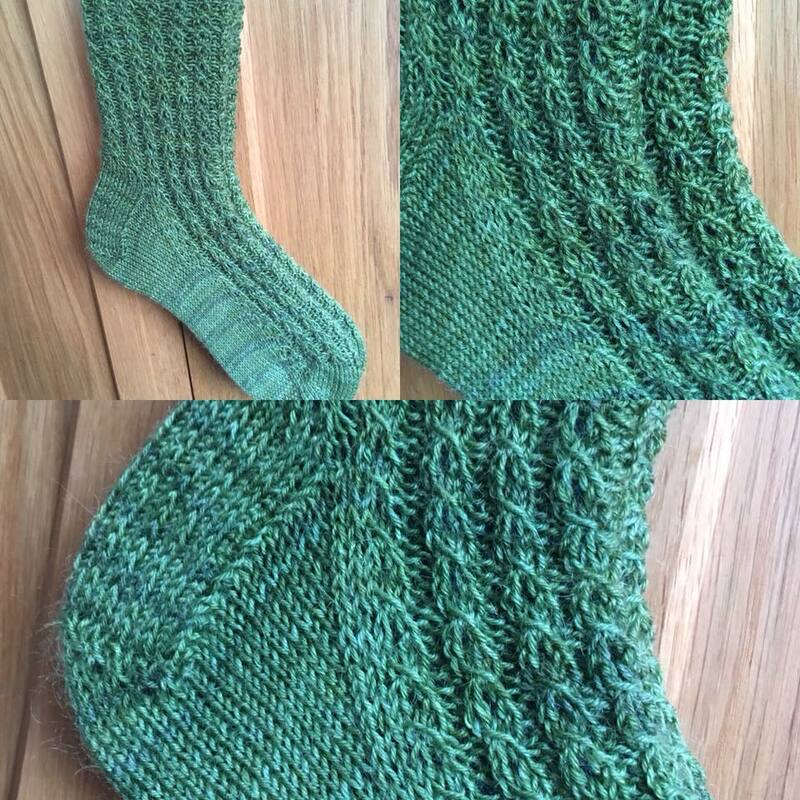 I have a YouTube ‘how-to’ video on the stretchy cast-on. 100g ball or hank of 4 ply sock yarn. 3 stitch markers, each one different.